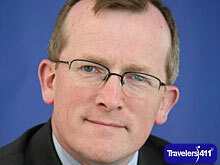 Igor Van Riel, General Manager, Killarney Plaza Hotel and Spa, Killarney, County Kerry, Ireland. Click here for the Killarney Plaza Hotel and Spa Directory listing where you'll find links to all interviews with Killarney Plaza Hotel and Spa in one place. Click here for more info and links to all interviews featuring Igor Van Riel. David Sloan, Co-producer, Key Lime Festival, The Florida Keys, Florida, USA. Click here for the Key Lime Festival Directory listing where you'll find links to all interviews with Key Lime Festival in one place. Click here for more info and links to all interviews featuring David Sloan. Peter Andrew Sacco, Author and TV show host, The Paranormal Profilers, Niagara Falls, Ontario, Canada. 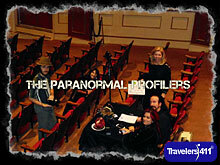 Click here for the The Paranormal Profilers Directory listing where you'll find links to all interviews with The Paranormal Profilers in one place. Click here for more info and links to all interviews featuring Peter Andrew Sacco.